Turkish authorities have arrested 21 suspected members of the Islamic State group, according to state media. They were picked up early on Friday in a series of raids in Istanbul and the nearby town of Kocaeli, as well as locations near the Syrian border. Three of those detained are foreigners who were allegedly planning to cross into Syria. Turkey has been accused of not doing enough to stop the flow of foreign fighters across its long Syrian border. The Turkish government rejects those accusations. President Recep Tayyip Erdogan said on Thursday that the country had deported 1,300 foreigners thought to have links to IS. 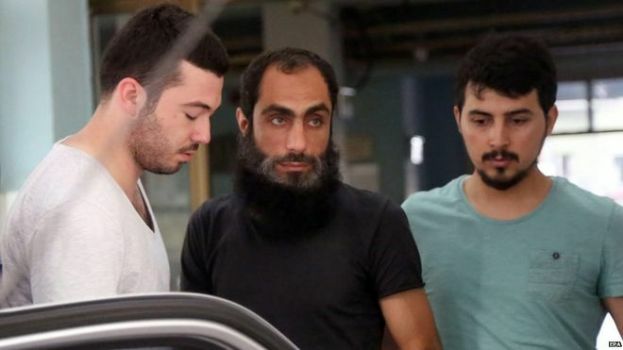 The Turkish citizens arrested on Friday are suspected of recruiting foreign nationals to join the militant group.